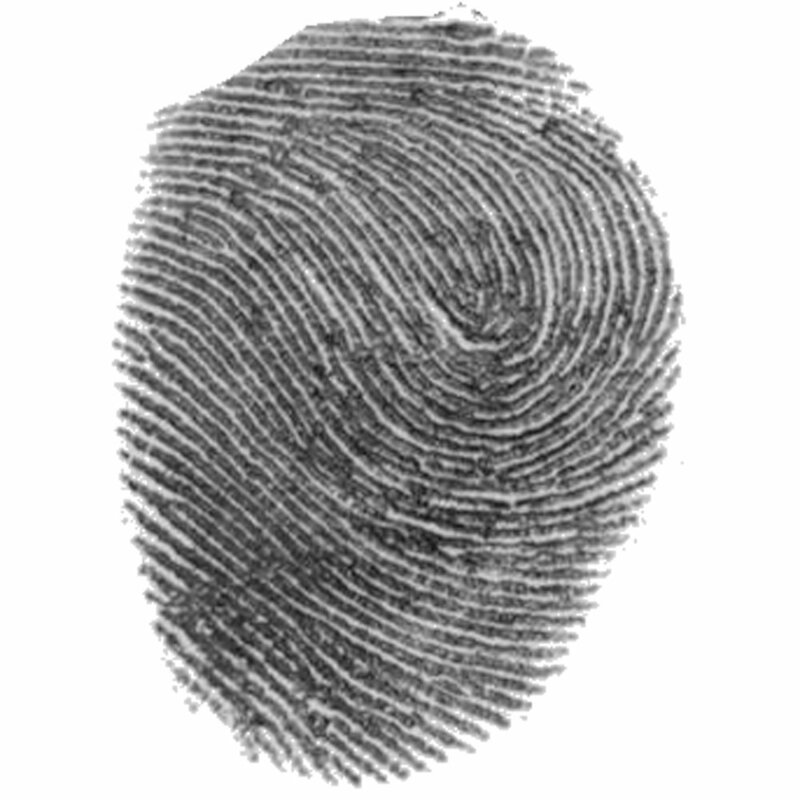 Have a digital fingerprint turn into high detail stamp. 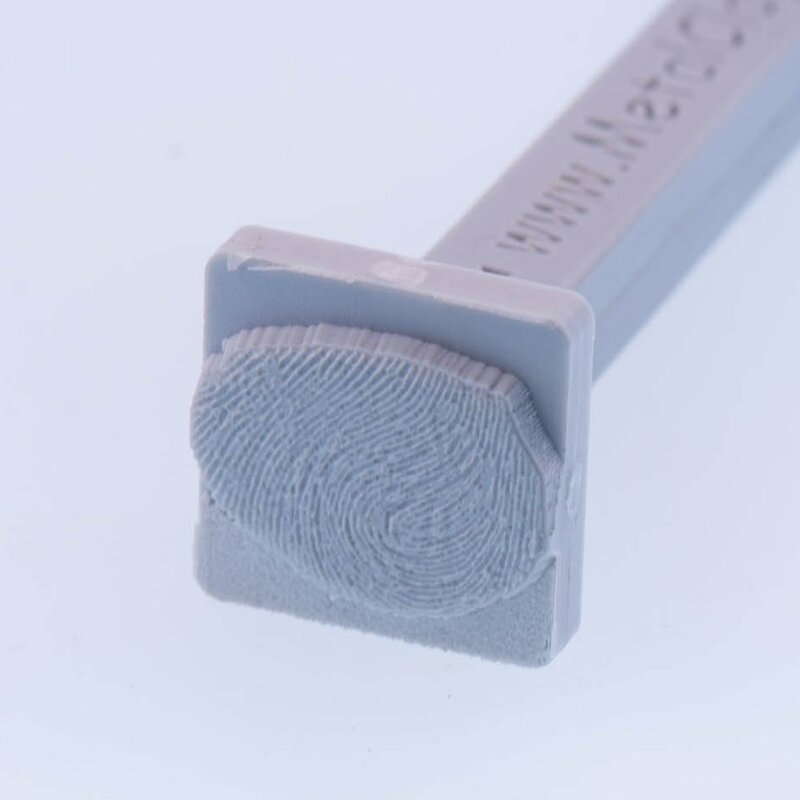 These finger print stamps are high detailed precise copies of your digital image. 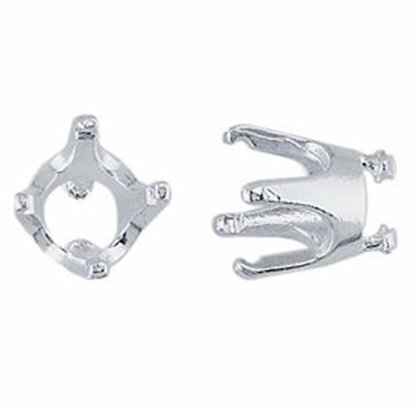 They are great for baby prints and when ink prints are the only option. The digital process allows for enhancement of poor quality prints. We can also do ink foot prints and hand prints. 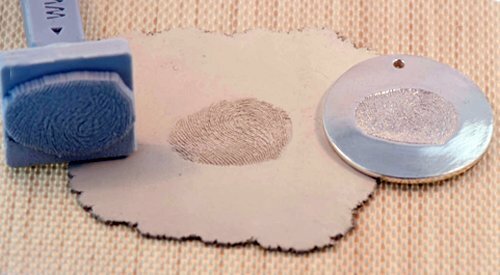 Each stamp is more then deep enough so only the finger print impression touches your piece. Ships in 3 about business days or less! The stamp heads are available in several fixed sizes but you can specify impression size in text box below as long as it fits within stamp head size. Really Stunning Detail - the BEST I've seen! 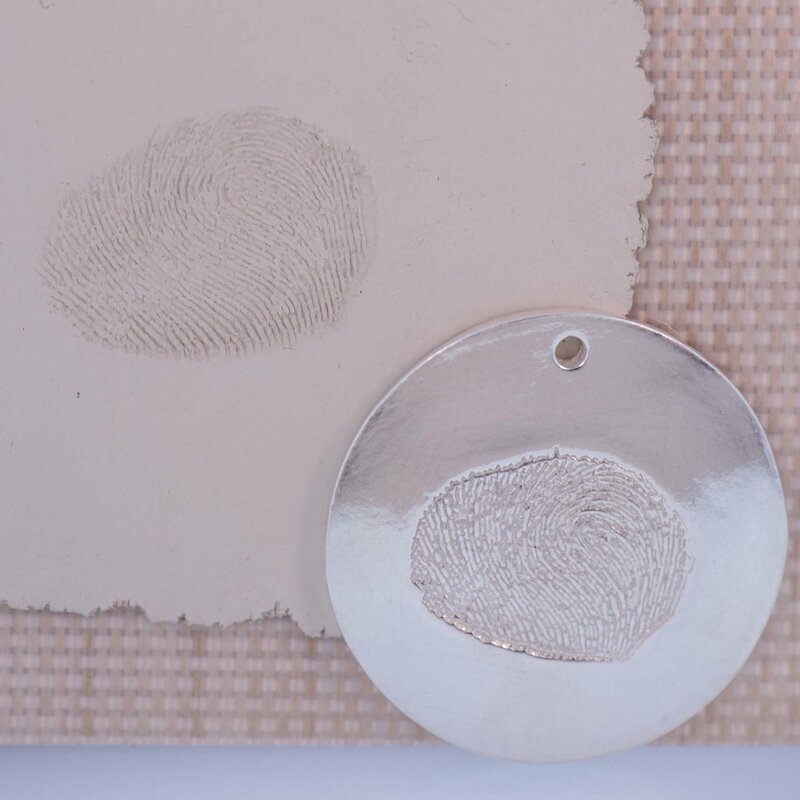 I love Metal Clays' fingerprint stamps and will no longer use anything else for transferring an ink and paper print to metal clay. I have previous experience using photopolymer stamps, and they simply cannot capture as much and as incredibly fine detail as these stamps do. 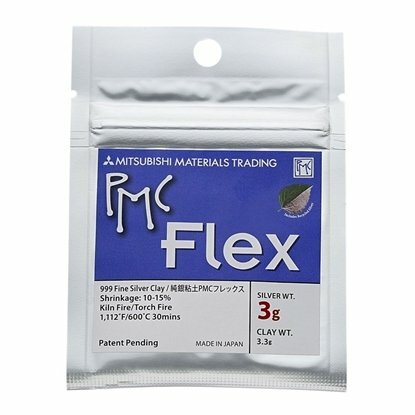 Moreover, Metal Clays' customer service is outstanding. I've always felt comfortable asking questions, and I've consistently received prompt, courteous assistance. 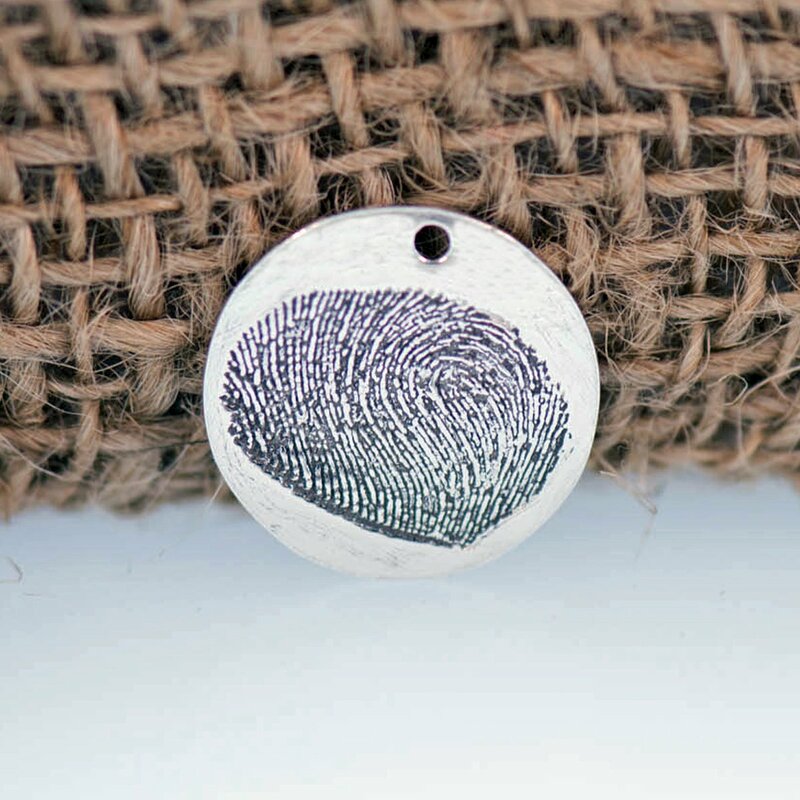 I wanted to let you know that the fingerprint charms turned out beautifully. My family will be so pleased to get their fingerprint charm in remembrance of my mom. The writing for the mom & pop pendant, even at 51 mm is really too small to read....but, I know what it is says and that is all that matters. I think the image I gave you was probably not the best to use. But, since I'm the only one getting the one with the writing, it serves it's purpose. Bottom line, again, you guys came through and I am just so pleased. 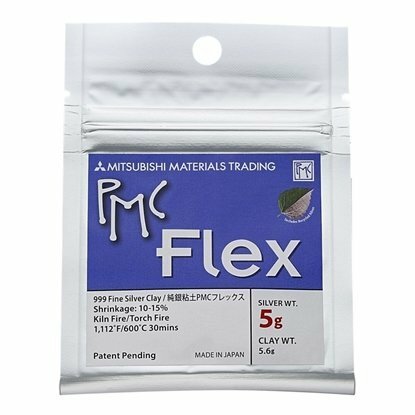 This tumbling media is for creating matte finish and cleaning your metal clay creations.